The Salvation Army’s award winning “40:20” ReUse Organisation has reached another milestone in its 6 year history. 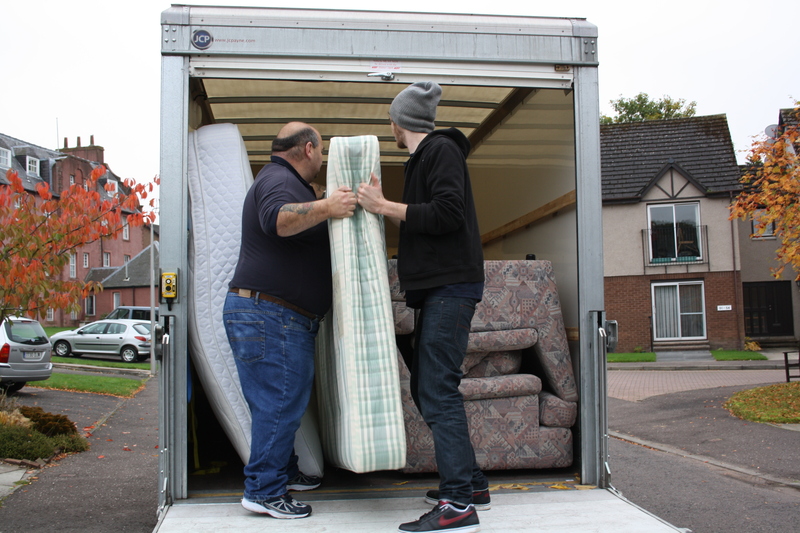 This week saw it undertake its 10,000th collection of furniture and other items in the Perth & Kinross area. This equates to around 730 tonnes of items collected and reused that would otherwise have gone to landfill. In return, as well as being available to anyone and everyone for their furniture needs, we are pleased to be able to self-fund discounts for people referred to us by local Social Welfare Providers which has totalled around £71,000 over the last 6 years. 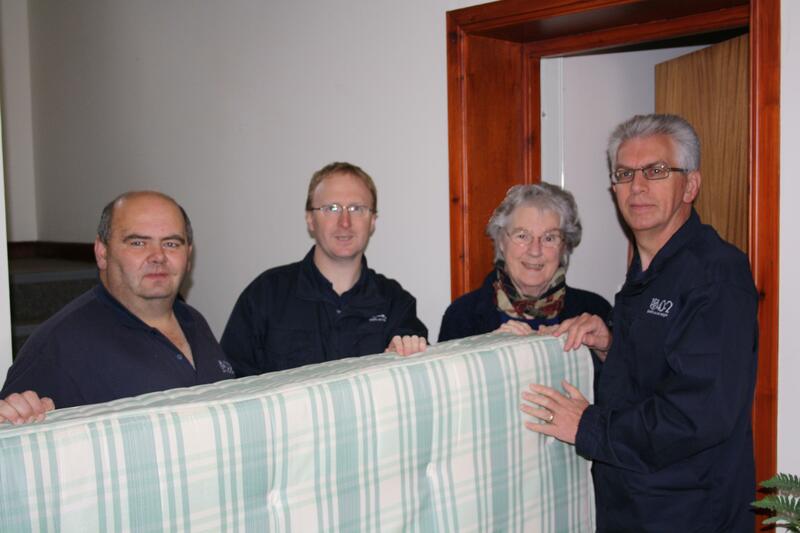 The donor on this occasion was Mrs Anderson from Bridge of Earn who was donating a mattress that she no longer needed. Current project manager Daniel Rous presented Mrs Anderson with a certificate and flowers to celebrate this milestone. Mrs Anderson said “I’ve given often to your project so this is wonderful to be recognised in this way. The flowers are beautiful. I’m just happy to support what you are doing.” Also present were one of the projects collection teams (Driver, Alan Robertson and Future Jobs Fund employee, Sam Wells) together with the new manager of “40:20”, Jim Robertson who will take over the reins of this project next week.